The city of Grand Junction is the home rule municipality that is the county seat and the most populous municipality of Mesa County, Colorado, United States. The city has a council–manager form of government, and is the most populous municipality in all of western Colorado. Grand Junction is situated 247 miles (398 km) west-southwest of the Colorado State Capitol in Denver. As of the 2010 census, the population of the city was 58,566. 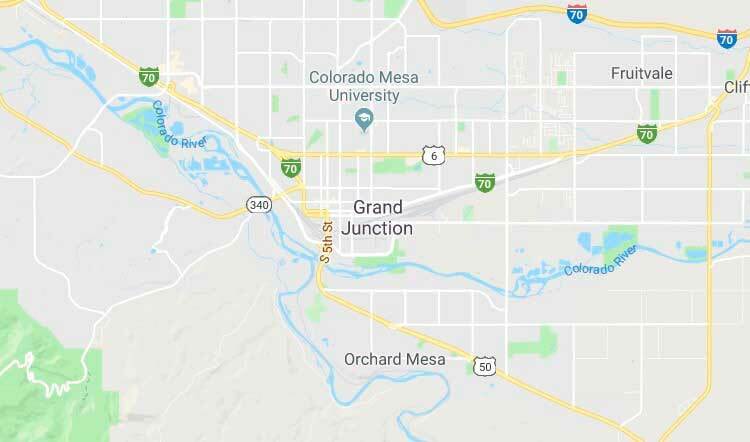 Grand Junction is the 15th most populous city in the state of Colorado and the most populous city on the Colorado Western Slope. Grand Junction serves as a major commercial and transportation hub within the large area between the Green River and the Continental Divide. It is the principal city of the Grand Junction Metropolitan Statistical Area which had a population of 146,723 in 2010 census. According to the United States Census Bureau, the city has a total area of 38.6 square miles (100.0 km²), with 38.2 square miles (99.0 km²) of it land, and 0.39 square miles (1.0 km²), or 0.87% of it water.